Strict enforcement of Azerbaijani migration legislation is making life difficult for ethnic Azeris who are citizens of neighboring Georgia. Ethnic Azeris were estimated in 2002 to comprise roughly 6.5 percent of Georgia’s population. Even during the Soviet era, they tended to have stronger ties to Azerbaijan than to Georgia. And today, despite extensive Georgian-language education efforts funded by Tbilisi, as well as attempts to invigorate the country’s agricultural sector, many still migrate south to Azerbaijan in order to work or study in an Azeri-speaking environment. Until this autumn, ethnic Azeris could come and go relatively unhindered. But of late, Azerbaijani officials have started to enforce a 1996 migration law that restricts the right of foreign citizens to be in Azerbaijan to 90 days. A stay longer than 30 days also requires registration of the individual’s residential address with the Ministry of Internal Affairs. Fines range between 300 and 400 manats ($382 to $510). “Only in recent months has the Azerbaijani government started to be strict about those rules, and it creates a lot of trouble for Azeri Georgians because they are not aware of it,” said 22-year-old Mehemmed Jalilov, a Georgian citizen of Azeri descent who has lived in Azerbaijan since 2007. He works for a Baku-based non-governmental organization. Reasons for the change are not clear. Despite repeated attempts by EurasiaNet.org, the Azerbaijani State Migration Service could not be reached for comment on the decision to enforce the law, or to respond to complaints from Azeri Georgians. The application of the law has created some unusual situations. Twenty-two-year-old Gunel Ashirova’s family was among those that moved to Azerbaijan from Georgia during the tumultuous early 1990s, leaving when she was just a few months old. But although her father has received Azerbaijani citizenship, Ashirova cannot, despite multiple attempts, and remains a Georgian citizen. She claims that officials will only grant her long-term residence status. For that reason, once she graduates from university, she will have to start crossing the border four times a year to be able to live in Azerbaijan for three-month intervals. “It is ridiculous,” she commented. Migration specialists in Baku see little room for maneuver so long as the law remains in force. “Giving special opportunities to Georgian Azeris would be discriminating against ethnic Azeris living in other neighboring countries,” commented Azer Allahverenov, coordinator of the Hayat Migration Resource Center, also in Baku. Azeris in neighboring Iran are also grappling with procedural changes. On December 11, parliament voted to annul a six-year-old memorandum that allowed simplified border crossings by Iranian citizens residing in border areas – a category that largely applies to Iran’s ethnic Azeris. Authorities indicated that the change was part of an effort to contain drug trafficking and activities by religious extremists. For Aloyset Aliyev, director of Baku’s non-governmental Azerbaijani Migration Center, which has received numerous complaints from Azeri Georgians, the main problem lies not with the rules, but authorities’ failure to provide sufficient advanced warning. “There should have been an awareness campaign first,” Aliyev said. Information about the rules appears to travel largely by word of mouth, and is inconsistent. Given the length of time that many Azeri Georgians have been working in Azerbaijan, fresh rules need to be considered, Aliyev continued. 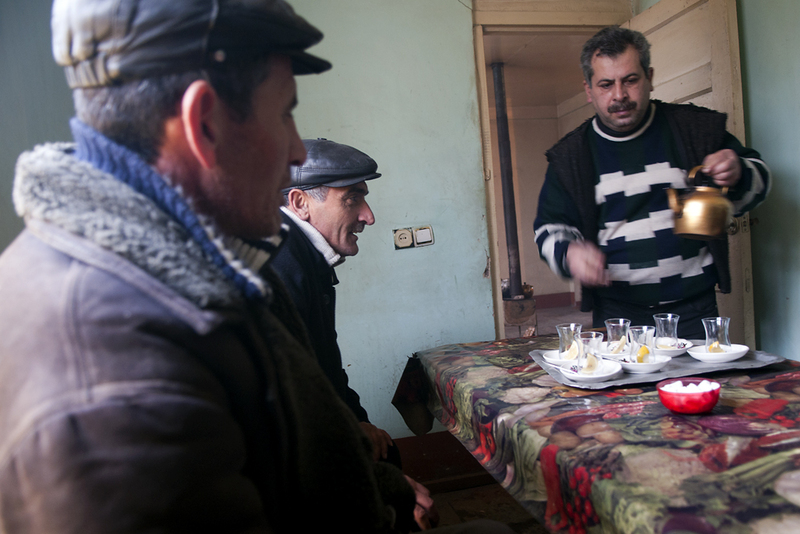 Those who have built their lives in Azerbaijan say that returning to Georgia to live full-time is not an option. Shahla Sultanova is a freelance journalist focusing on Azerbaijan.